SECO Group excels in the electronic embedded field, offering cutting-edge solutions for the most various applications, through standard modules (Qseven®, COM Express™, SMARC, ETX®, embedded NUC™), SBCs, systems and full-custom solutions. 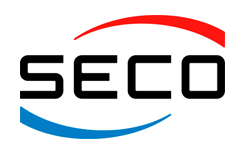 With 40 years of experience and more than 250 employees, SECO is constantly growing and operates globally with offices in Italy, Germany, USA, India and Taiwan. SECO manages the entire production cycle in-house in Italy, from the development and design stage to manufacturing and mass distribution. Creativity, innovation and collaborations with the most important technological partners and a number of major scientific Universities and Research Institutes are the foundation of SECO’s ability to meet the ever-changing challenges of the embedded market.